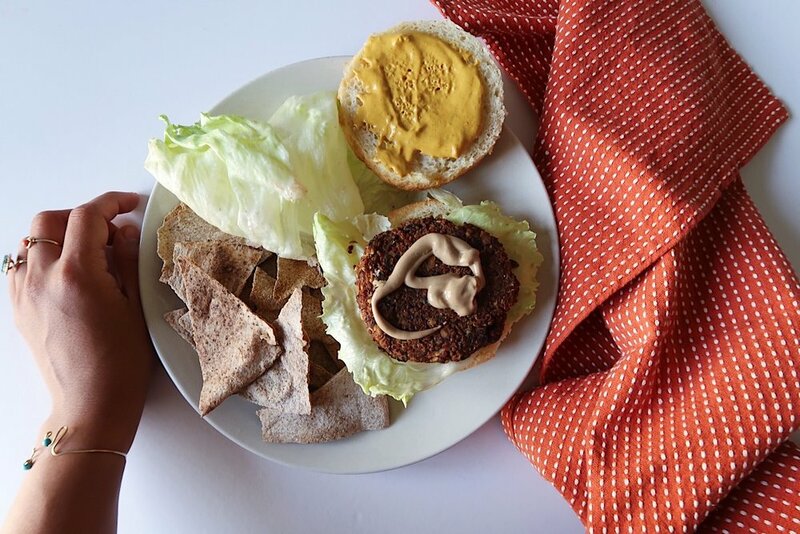 This vegan patty is simple, easy to make, and sticks together. Just two ingredients + spices. A lot of spices. Yum. Oh and before I forget. Make some vegan garlic sauce to go with it. You might just cry of how delicious this burger will turn out to be. So let's just get into the recipe. 1 can black beans ~ 1.75 cups. Drained very well. Now it's time to make the patties (or you can eat it as is...Still delicious.